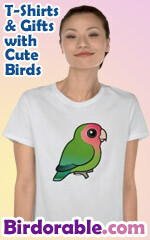 A perfectly innocent design for any avid birder or bird lover. What could be more satisfying to a birdwatcher than a good round of hot all-bird action? To order by phone, call toll-free at 1-877-809-1659 from Monday - Saturday 9:00am - 9:00pm EST. You'll need to note the Product Number 030-389764405 to make your order.